Olympic Heights is having one of their best seasons in history. 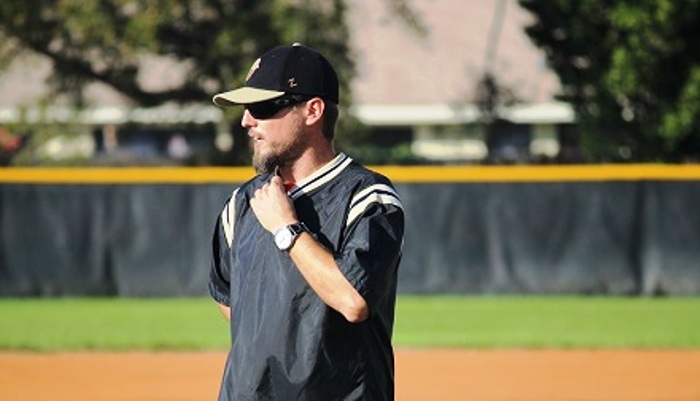 After taking a few years to change the culture, Manager Casey Beck has a team finally believing they can win a district title and more in 2019. Let’s get to know Casey. Enjoy Palm Beach fans! The Rival Coach I Admire Most: Bill Harvey, Spanish River; When I first moved here from Myrtle Beach, he took me under his wing and has been a great mentor and friend. What I Remember Most About Playing Baseball In High School: The brotherhood I shared with my guys; Good times. Best Advice I Was Ever Given: Don’t expect people to feel sorry for you. Work hard, do right, and good things will happen. One Thing I Would Change About High School Baseball Today: Eliminate Travel Baseball. Something I Am Afraid Of: Letting my family and friends down. If I Could Change One Thing About My Coaching Style It Would Be: Not worrying about things that are out of my control. If I Wasn’t Coaching/Teaching, I Would Be: Working with kids and the disabled. Something I Wish I Knew When I Was Younger: It’s not what you know, it’s who you know. When My Coaching Career Is Over, I would Like To Be Remembered For: As a guy that did things the right way and treated people right.